This Irish golf towel features an embroidered himself and shamrocks motif. Sorry, the himself golf towel is now sold out. 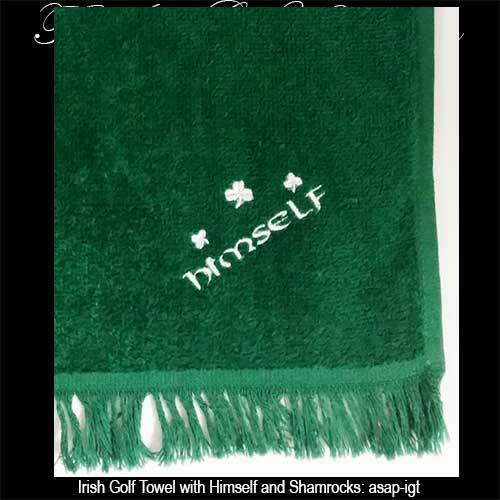 This Irish golf towel features an embroidered design that includes himself along with shamrocks. The himself golf towel is 100% cotton and measures 10 1/2" wide x 17" tall. The shamrock golf towel includes a brass grommet and a karabiner clip along with a reinforced border. 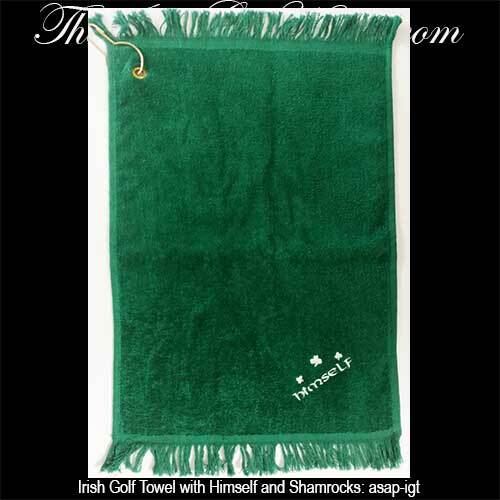 The green golf towel is received with a shamrock history card, complements of The Irish Gift House.